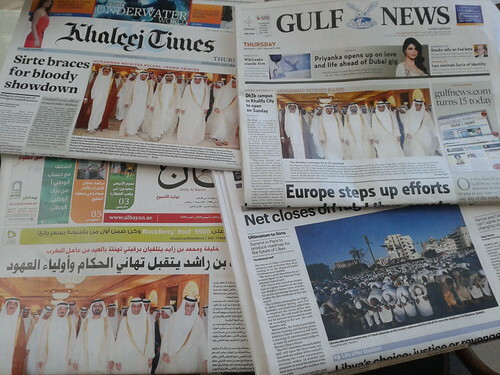 This photo shows the recent front pages of four UAE newspapers — The National, Gulf News, Khaleej Times and Al Bayan (Arabic). Three of the four papers featured a photo of His Highness Sheikh Maktoum bin Rashid visiting with other leaders of the country while The National chose a picture of events in Libya. The decision in which artwork to run shows how different newsrooms hold different values about what is “news.” I tell my Emirati journalism students that editors weigh potential news based on many criteria including relevance, usefulness and impact. 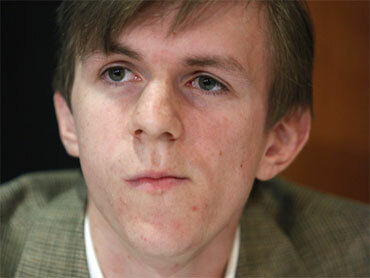 It’s a subjective decision but the choices news producers make have a great impact on society. This example should lead to some good discussions in my journalism classes this semester.